Tuesday, 28th January. 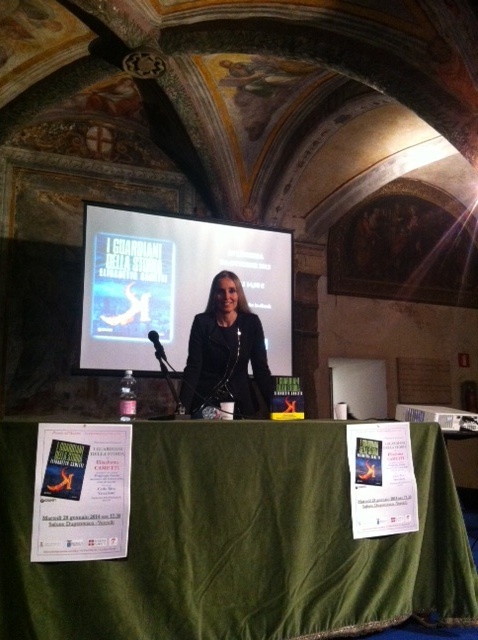 Elisabetta Cametti is one of the protagonists of Parole all’autore – Letteratura come Vita, the festival organized by the Municipality of Vercelli. At 17.30 she presents her first book K – The Guardians of History at the famous Salone Dugentesco. Special guests: Piergiorgio Fossale, the Councilor of Culture and Carlo Riva Vercellotti, the Chief District.